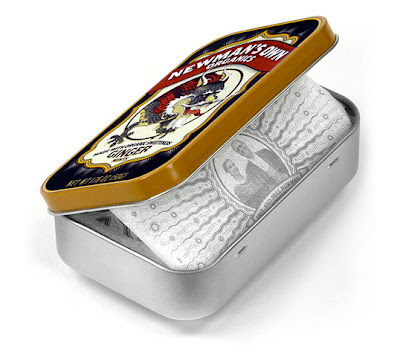 I admit it, I just bought a couple tins of the new Newman's Own Mints strictly for the packaging. I don't even like ginger mints (one of the 4 new flavors). Check out the packs next time you're standing in line.